What is the Difference Between Red Tomatoes and Yellow Tomatoes? Like all vegetables and fruits, tomatoes differ somewhat in nutritional value from variety to variety, and even from season to season. For example, the U.S. Department of Agriculture lists different average nutrient contents for tomatoes harvested from November to May and for those from June to October. Many food values are comparable for red and yellow tomatoes, or are a trade-off. For example, the amino acids are found in similar smidgens. The precursor of vitamin A called beta-carotene is found in valuable amounts in red and yellow tomatoes. 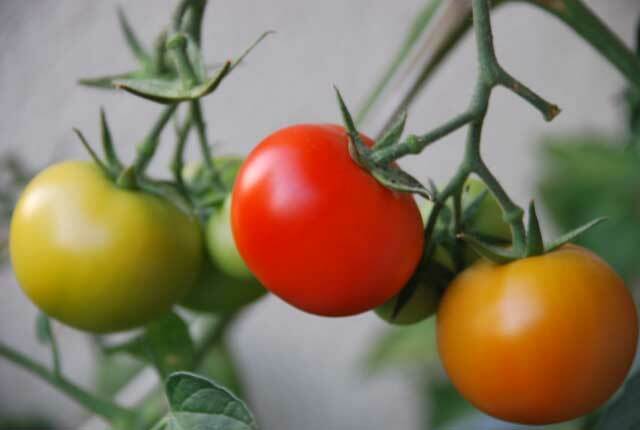 Both colors have vitamin C, though a red tomato has about three times as much. Minerals are similar, though a yellow tomato is higher in sodium. Yellow tomatoes have more niacin and folate; red tomatoes have more vitamin B6 and pantothenic acid, and so on. Where Do Tomatoes Come From, Where Do Wild Tomatoes Grow, and When Were Tomatoes Domesticated?